Stainless Steel grade 304 used for Bird Cages is really good? 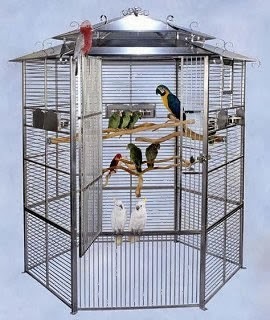 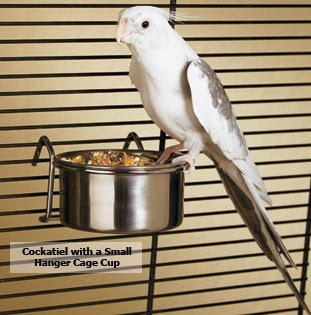 Home » Stainless Steel Appliances » Stainless Steel grade 304 used for Bird Cages is really good? If you're wondering whether or not 304-grade stainless steel bird cages are bird-safe, the answer is definite "yes!" In fact, it's the only material used in bird cages these days that I feel 100% secure about putting my bird in. 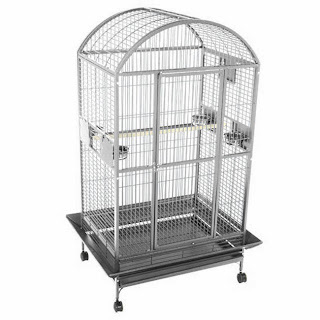 With the growing amount of powder-coated brand names being found to have toxic levels of harmful components in them, the safest bet is to get a 304-grade stainless steel cage. Aside from powder-coated and stainless steel, the only other choice that I know of is bamboo or wood, and that makes me nervous to even think about putting my bird in a cage made of wood. 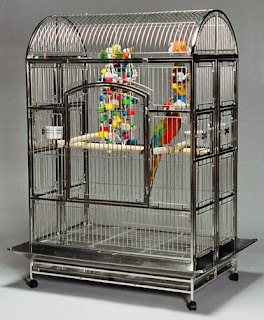 Whenever I even think about cages made of wood I get concerned about my bird getting slivers, or even worse finding some sort of bacteria within the wood that could get him sick. 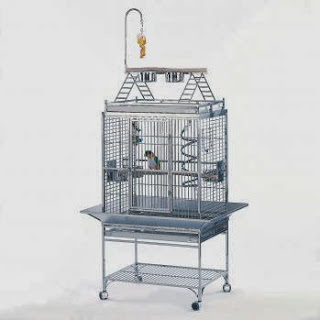 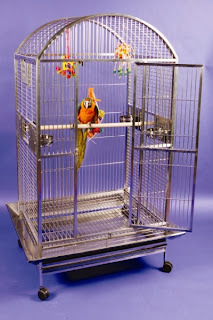 The only word of warning I would give about the safety of a 304-grade stainless bird cage, is to make sure you are buying a stainless steel cage that is constructed of genuine, authentic 304-grade stainless steel. 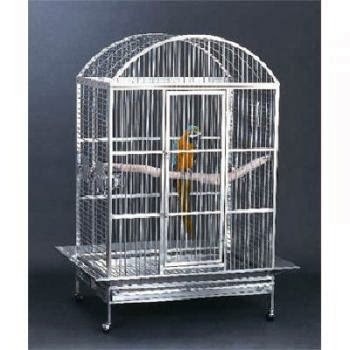 If you buy a low price, generic stainless steel cage, that's supposedly made of 304-grade stainless steel, you never know whether or not it is genuine or not. It's impossible to say whether a non-authentic 304-grade stainless steel cage is non-toxic to your bird without having it analyzed by a professional lab. 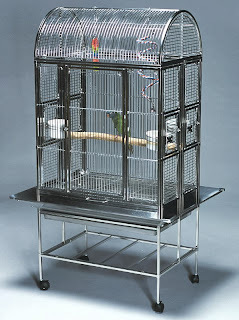 In order to do so, you would have to send a lab a chunk of your cage, and this damaging the cage to have it analyzed. There's always the possibility that in order to save money the factory put filler components into the steelmixture to replace the expensive components of the genuine 304-grade mixture, and there's a good chance those replacement components are toxic to birds. 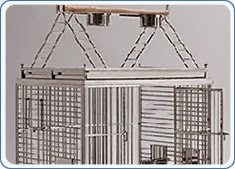 Your best bet is to make sure you're buying from a reputable cage manufacturer that you can trust. So that brings up the question; "is buying a stainless steel cage even worth it?" The answer to that question is; "without a doubt." 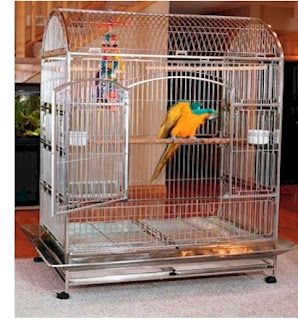 If you look at the benefits of ownership between a stainless steel cage and a powder-coated cage, the better choice is obvious. 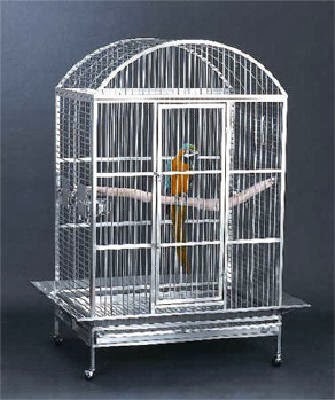 Stainless steel cages are much easier to keep clean and sanitary. 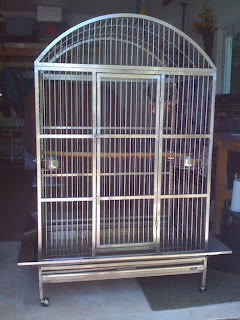 You can pressure-wash them without making the powder-coating fall off, and you can also scrub them down with a vinegar/water mixture to quickly and easily get them totally clean. 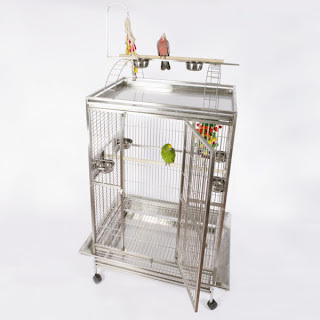 The process is as simple as coating the surface of the cage with the mixture, waiting 5 minutes, and then scrubbing it down or hosing it off. 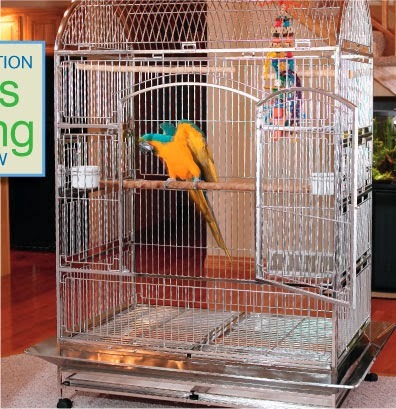 Then just dry the cage with a dry towel if you don't want any water spots. 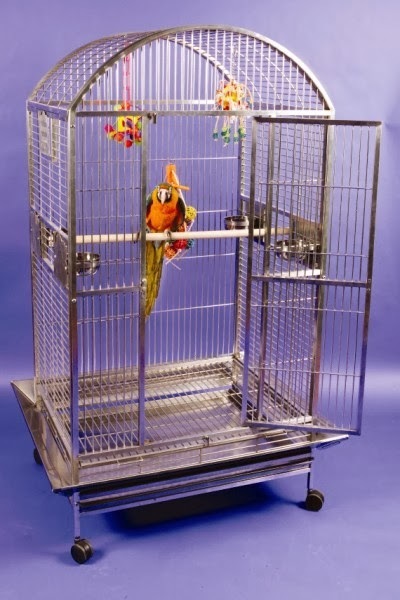 Even though the ease of ownership is a great benefit, the greatest benefit is the lifespan of stainless steel cages. 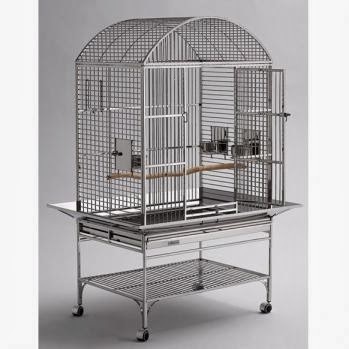 If you get a truly authentic 304-grade stainless steel cage that is well constructed, that cage could very well last a millennium if properly cared for. 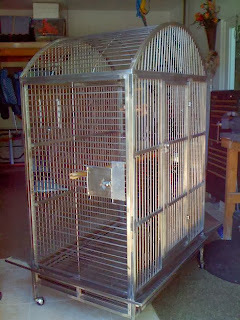 On the other hand, you could buy a top brand name powder-coated cage, and take good care of it, and you'll be lucky if it makes it beyond a decade before it's completely rusted out and becoming unsuitable for your feathered friend. 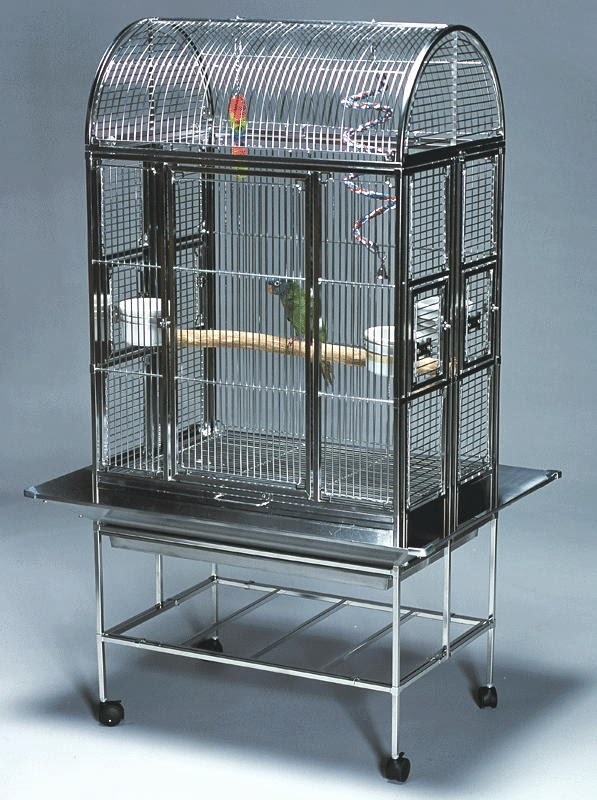 I highly recommend stainless steel for all of these reasons, and if you can afford to get one you wont be sorry that you did. 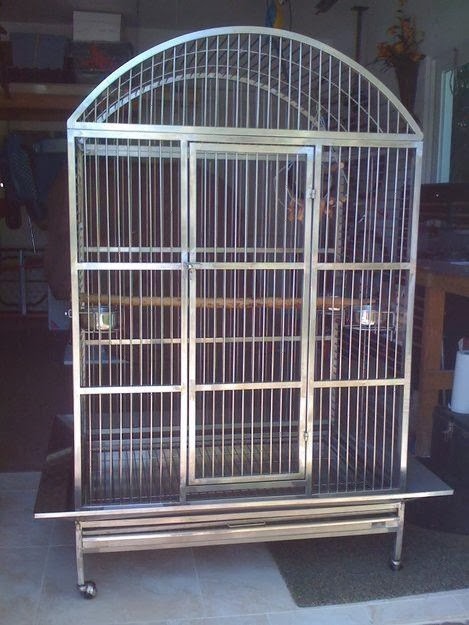 David Hermansen is one of the owners of Legacy Cages, a manufacturer of top quality 304-grade stainless steel bird cages that are hand-crafted right here in the USA.